Ollie and Co. come back from its hiatus with an episode that expects you to feel more than follow along. The plot is a tossed salad of inconsistencies dressed with dread. Paul Blackthorne does his best to save the episode from itself with a heart-breaking portrayal of a grieving father, but one performance does not a good episode make. The whole team has to set their grief aside to clear the name of their fallen comrade. If there’s a thing that comic book style storytelling struggles to do well is mourn its dead. There’s rarely time to mark the passing of the unfortunate few who fall long the path. The dead are either left behind or serve as that last scrap of motivation that pulls it all together for the day to be saved. With Laurel dead and Darhk on the loose, Team Arrow doesn’t have much else to do than sort through their feelings and embody the stages of grief. Quentin Lance spends most of the time as Denial, but for good reason. This is the third time one of his two daughters has died, he more than anyone knows the temporary nature of death in this universe. Lance spends much of the episode frantically trying to figure out what the next steps are supposed to be to bring his beloved daughter back. Once those avenues are exhausted, Lance is crushed by the weight of the loss. Since Diggle is a bigger guy he is both Anger and Bargaining. Since it was Diggle’s brother, Andy, who betrayed the team and put them in the situation that led to the injuries that led to Laurel’s death, Digs is angry at himself and the world for allowing it to happen and plays the “what if” game which only angers him more. Oillie represents Depression and handles his emotions in the only way he can – narrative flashbacks. Though wrapped up in guilt, Oliver uses the mission to preserve the Black Canary’s (and by extension Laurel’s) legacy as the tether that helps him carry on. The action part of the episode centered on the discovery of a Black Canary still operating in Star City despite Laurel being dead. The Canary is clumsier than Laurel (which I didn’t realize was possible) but was able to modify the Canary Cry tech despite it being keyed to Laurel exclusively. With this Canary’s activities and Diggle’s attack on the new mayor (who also happens to be Darhk’s wife), masked vigilantes are being hunted again. This newbie Canary has the outfit, equipment and bad blonde wig of her predecessors. She even knows Ollie’s trigger phrase (“You failed this city”). We’re given just enough information about this new character to make her possible, just not enough to make her plausible. Felicity discovers this new masked avenger is Evelyn Sharp, a 16-year old scholar and gymnast whose parents died during Christmas in a Hive experiment. At the time, Team Arrow had the chance to save those “volunteers” but didn’t. That’s the extent of what we learn about her, leaving enormous plot holes in her wake. The ER doctor recalled her as a girl who is frequently in the ER. That’s fine, wouldn’t someone notify the authorities once they notice an underage girl hanging out or being treated in an ER enough to be recognized? When did she steal Laurel’s sonic device? At no point in the previous episode or this episode was Laurel left alone in the hospital. Also, this girl has the tools and the genius to modify a Star Labs piece of tech? It’s all too convenient, even for a comic book show. *Laurel is as dead as Jon Snow. However death is just as temporary in this show’s world as it can be over on Game of Thrones. Even though she was shown on the slab there was no sign of the Y-incision that is the telltale sign of an autopsy. With so many different factors still in play that could lead to rebirth or revelation that she wasn’t dead in the first place, this isn’t the last we’ve seen of Laurel Lance upright and breathing. *Another device the show used suspiciously was the flashbacks. Normally when a character is killed off any memories are culled from scenes that already exist. Arrow recreated new flashback scenes out whole cloth (that included some serious retconning), which is pretty rare. *One of the troublesome retcons was Oliver and Laurel getting back together for a brief stint following Tommy Merlyn’s death. 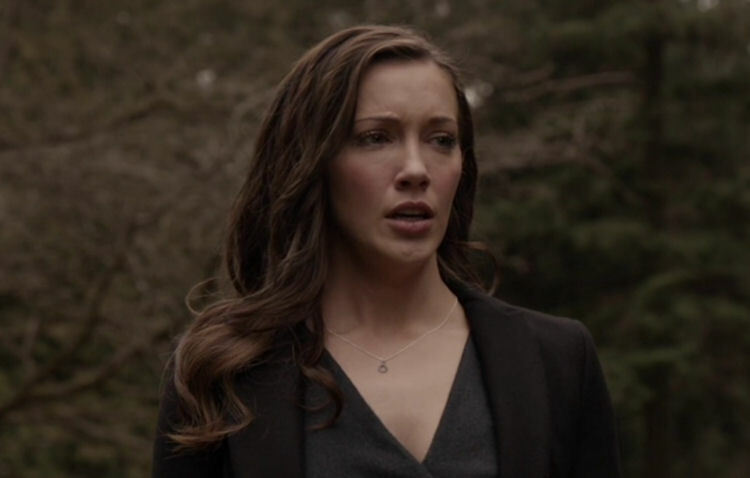 The whole thing felt wrong considering Laurel was in deep mourning and started a downward cycle of addiction over Tommy during Season 2. *Ollie ultimately solves the problem of Laurel’s legacy by telling the world that she was in fact the Black Canary during his eulogy. It was a bit of a bombshell. *Even Barry’s appearance at Laurel’s graveside became aggravating. The Flash and Arrow are supposed to be running parallel, but Barry clearly uses his powers to exit stage right despite the fact just the night before he was powerless on his show. *It was good of Nyssa to show up for the funeral. *Now that the mystery grave is filled, now the team can get down to the business of actually stopping Darhk. In a lot of ways, it’s about time. Blackthorne saved this episode from being a complete disaster. His performance was heartfelt and raw. He hit all the right notes in what may have been the best job of writing and acting Arrow has shown to date. Unfortunately it was all undermined because the rest of the show was executed with all the skill and showmanship of a 9-year-old with their first magic kit. The Flash, ‘The Flash Reborn’: Barry’s Back! And He’s Happy Again!